NEW YORK (AP) — It's OK to eat some romaine lettuce again, U.S. health officials said. Just check the label. 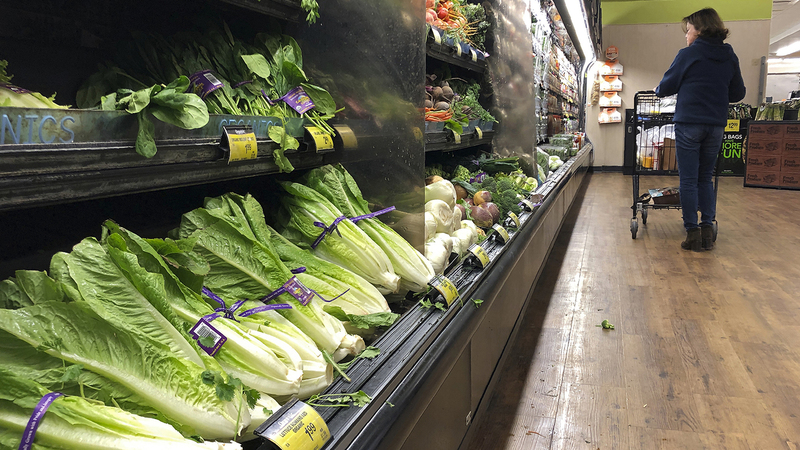 The Food and Drug Administration narrowed its blanket warning from last week, when it said people shouldn't eat any romaine because of an E. coli outbreak. Two individuals in Illinois have tested positive for this same outbreak strain of E. coli, according to the Illinois Department of Public Health. The FDA said Monday the romaine linked to the outbreak appears to be from the California's Central Coast region. It said romaine from elsewhere should soon be labeled with harvest dates and regions, so people know it's OK to eat. People shouldn't eat romaine that doesn't have the label information, the FDA said. For romaine that doesn't come in packaging, grocers and retailers are being asked to post the information by the register. Romaine harvesting recently began shifting from California's Central Coast to winter growing areas, primarily Arizona, Florida, Mexico and California's Imperial Valley. Those winter regions weren't yet shipping when the illnesses began. The FDA also noted hydroponically grown romaine and romaine grown in greenhouses aren't implicated in the outbreak. Since romaine has a shelf life of about 21 days, health officials said last week they believed contaminated romaine could still be on the market or in people's homes.